With over seven decades of experience creating exceptional home appliances, Wolf continues to develop groundbreaking products. Wolf’s mission is to continuously perfect their appliances, offering products that ensure control and precision. With an array of styles and designs, Wolf promises every customer will find appliances that flatter their homes. Wolf strives to empower customers in the kitchen by providing them with the superior tools needed to create delicious and nutritious meals at home. Wolf offers many different appliances and modules, using superior craftsmanship and high-quality parts to ensure their products are built to last. They even offer outdoor appliances that inspire customers to continue cooking throughout the year. Wolf’s passion for customer satisfaction and elegant design makes their appliances stand the test of time. Unfortunately, even brands as prominent as Wolf will begin to malfunction. Appliances can even malfunction years after warranties expire. Their boilers tend to break down in ovens and parts may loosen within the oven doors, causing permanent damage. 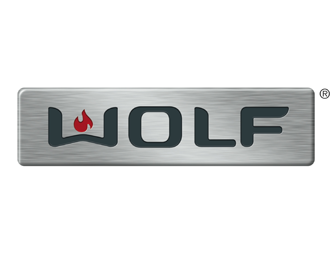 Fast Appliance repair is available to repair all Wolf Appliances. We repair all Wolf dishwashers, cooktops, stoves, ovens, dryers, microwaves, refrigerators, washers, and more.